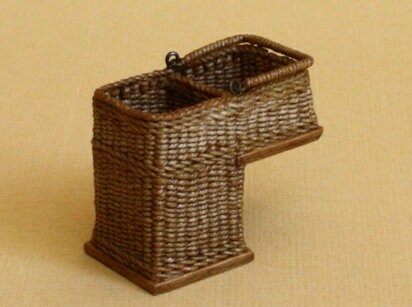 Dollhouse miniature, Wicker stair basket, light brown, measures without handle H 32 mm. x B 22 mm. x W 38 mm.